The girls have a joint party every year. Kaycee’s birthday is on the 2nd and Ella’s is on the 8th. 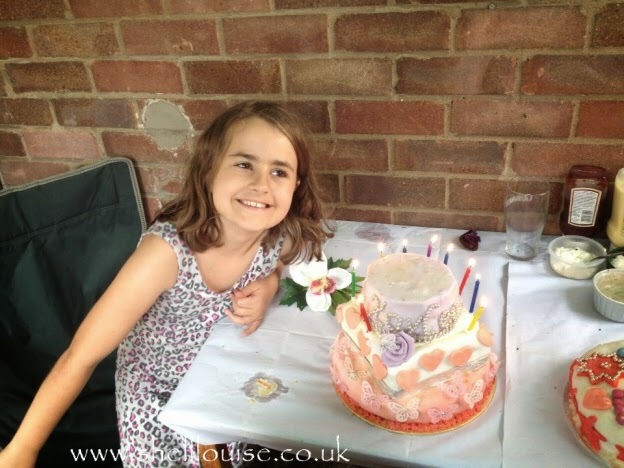 This year we had a birthday BBQ for family and friends. Kaycee also had friends for a sleepover the night before her birthday and Ella’s having friends sleep over on her birthday on Friday. I was dreading having all those girls in one place but thankfully it wasn’t too bad! It sounds like a wonderful party. I love the cakes! I'm glad to hear that they were well behaved. 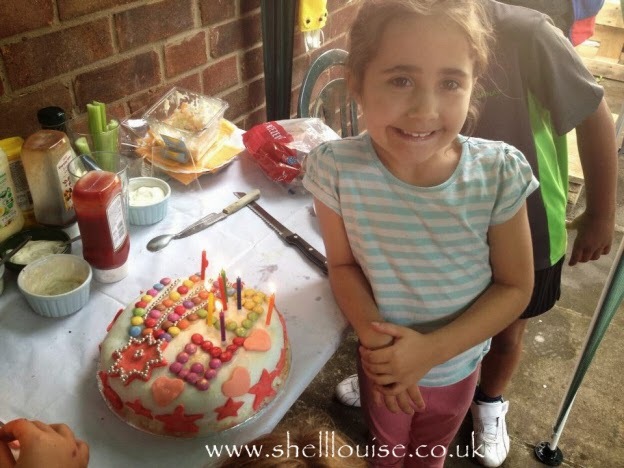 BBQs are always fun and what can be better than following a nice burger with a birthday cake! Bbqs for birthdays = fantastic! Nothing beats family and friends gathering for a celebration with amazing food. 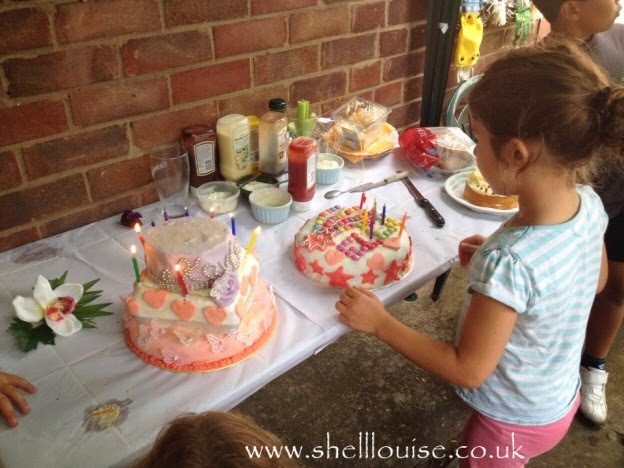 Summer birthdays are great for outdoor parties – mine are Nov and March, so a barbeque would never be an option. Happy birthday! Looks as though they had a lovely time. Sounds like a great party. I think sometimes you can get so caught up in taking photos you are not actually very 'present' in the activities. I bet they enjoyed their lovely cakes. They look like they are really enjoying it – and like I said before those cakes look AMAZING! Aw they look so happy! And good to live in the moment sometimes…I always find birthdays too hectiv to take many photos. Hope you had a great day.